Potomac Real Estate Partners has served the real estate interests of numerous corporations with diverse and complex business needs. Our talented team members provide real solutions to real commercial real estate issues every day. This dedication and skill is highlighted by the amazing feedback that our customers give us. “I have hired Norman on several occasions to locate rental space, and each time he surveyed our needs and procured the best possible site. I was impressed with his knowledge of the market and the many contacts with whom he was associated. He negotiated contracts on our behalf to the best possible conclusion by employing innovative ideas, creative solutions, and capitalizing on his reputation within the industry.” January 22, 2010 - Patrick F.
“Norm was excellent at achieving our goals and finding us the most suitable location.” May 27, 2009 - Paul J. “We worked with Norm to find new office space. He presented us with options, gave us the pros and cons of each location, and was diligent in following up. Although we ended up not moving, Norm was always on time and helpful and has become part of our corporate family. 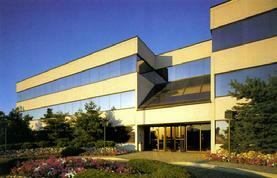 I recommend him to you if you are looking for new office space.” May 27, 2009 - Nancy T.